1.) 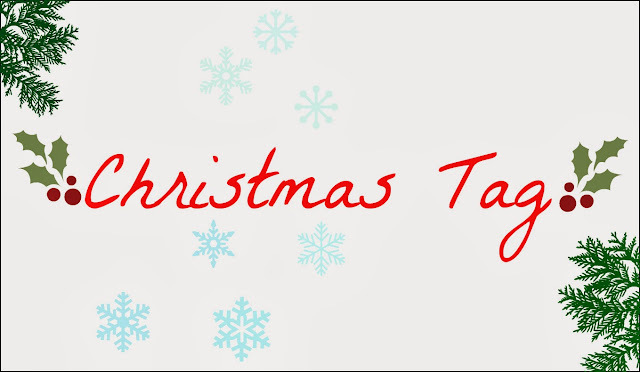 What's your favourite thing about Christmas? I love everything from the gift buying and decorating to the food. I also love that festive feeling and excitement you feel leading up to christmas day. 2.) What's your favourite thing to eat at this time of the year? Don't tell me you don't do this too, but I love brandy cream...like out of the container. 3.) How much do you decorate your house? Some say I go a little overboard with the tinsel...but we (obvs) put up a tree each year which I like to decorate myself with a carefully thought out theme, as well as a small one in my room. We also put small little christmas decorations here and there such as mini light up trees, a countdown board and pre-decorated trees. 4.) On christmas day, what do you wear? Depending on who's at our place, but generally I will be in my christmas pajamas until twelve, then I like to wear something red or white with tinsel around my neck and the mandatory christmas hat or reindeer ears. Not going to lie, it's nice getting presents, but I'm not just saying this to make myself look good, I honestly love to give presents. Buying them is great fun too. 6.) What do you do on Christmas eve? Freak out when I realise that I haven't wrapped presents, play christmas songs on repeat and read "the night before christmas" only a thousand times (we have the super cool pop-up edition...its amazing). 7.) Christmas eve or Christmas day and why? Christmas eve. When it comes to Christmas day, after around lunch time it's a bit like "Oh...now what?". 8.) What songs are you listening to at christmas? What else other than "All I want for Christmas is you?". I'm kidding, I also love "White Christmas", "It's beginning to look a lot like christmas" and "Christmas (Baby please come home). Then of course there is Six White Boomers (If you're Australian and you don't know this song I'm very disappointed, go sit in a corner and think about what you've done). 9.) Christmas cakes or christmas sweets? 10.) Favourite christmas makeup look? I love a good old red lip with winged eyeliner and some sparkly gold eyeshadow. Thanks for reading! Let me know below if you're doing this tag too! I'd love to see your answers.